Destination for teaching in Tuscany in the fall of 2020. Something struck me that night, when I was alone, taking a rest: the materiality of the church momentarily parted, revealing a deeper structure embedded in its form. I saw another space, a second architecture, lying beneath the surface that had so affected me. If you want to experience the essential mystery or the secret life of “things” then be there with them, awake when the rest of the world is sleeping. The theme for my classes in 2019 is: Quintessence: The Fifth Element. We will be working with the four elements, the four seasons, and the fifth element, quintessence. The Greeks called this element aether, and the medieval alchemists called it quintessence. 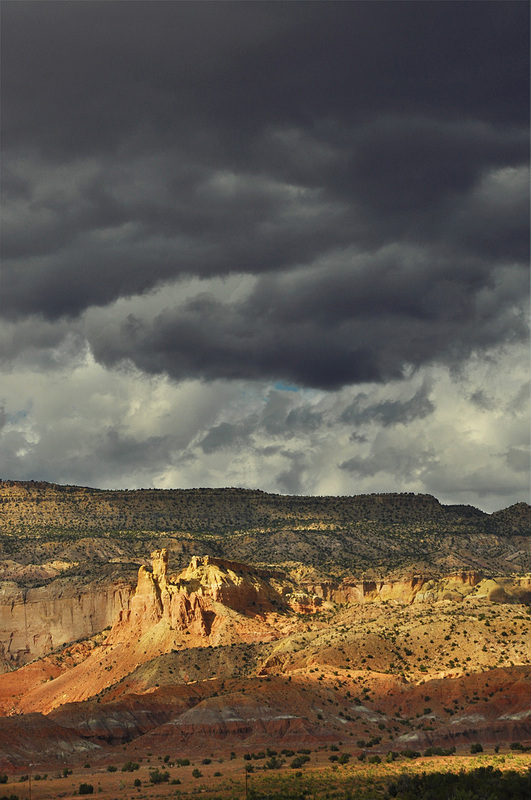 There are still some openings in the class at Ghost Ranch, New Mexico in October 2019. In the fall I will teach with three other calligraphers, bookmakers and painters in Tuscany, Italy: Birgit Nass, Mari Emily Bohley and Massimo Polello. I am also looking forward to teaching in Switzerland and Germany in the fall of 2020. More details to come..... What are you interested in studying? I'd love to hear from you.